This September, not only will you be able to enjoy the warm sun, salty air, and waves splashing at your feet, you will also get to admire 15 larger than life sand sculptures of comic book superheroes. 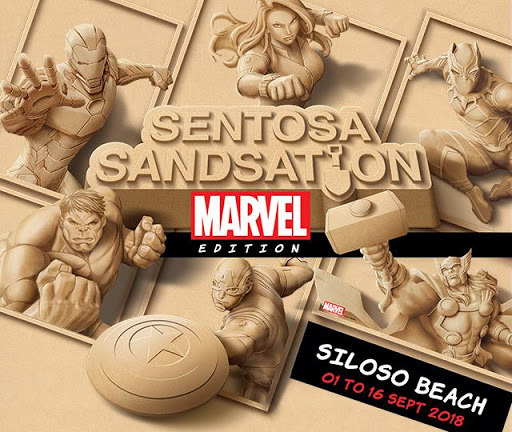 The Sentosa Sandsation returns with a MARVEL Edition at Silosa Beach from 1 to 16 September, 10 AM to 9 PM daily. The largest sand festival in South-east Asia, Sentosa Sandsation is part of the 3-year collaboration between The Walt Disney SouthEast Asia and Singapore Tourism Board. Award-winning sand sculptor JOOHeng Tan and his team will be building sculptures of Iron Man, Thor, Captain America, Hulk - just to name a few. 14 of the world's best sand sculptors will be showing off their skills by taking part in The Sentosa International Sand Sculpting Championship. The theme of the sculptures will be MARVEL-inspired creations, of course! STGCC 2017: Take a Digital Tour of Star Wars Props with Stefan Cembolista of Belgian Costume Division! 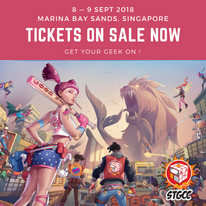 If you are, there are two main reasons for you to buy a ticket to attend STGCC tomorrow, 10 September, at Marina Bay Sands Convention Centre! Reason No. 2 - An iconic section of the Millennium Falcon's interior. Both these life-sized and near-accurate replicas were made by a group of talented prop-makers and craftsmen called the Belgian Costume Division (BCD). Their models have toured around the world at conventions, particularly at the Star Wars Celebration events. The head and founder of BCD is Stefan Cembolista, a wiry, energetic man, who is first and foremost a dedicated Star Wars fan. Stefan, who was tactically dressed in a kilt (which Red Dot Diva thought that was most swoonsome! ), was on site at the convention today. Upon Red Dot Diva's request, Stefan leapt at the chance to give a tour of both installations to the Star Wars fans out there. The BCD has built other Star Wars replicas like the AT-AT and Tie Fighter. Red Dot Diva hopes that the BCD crew will have the chance to bring these and showcase them in Red Dot Island too! Red Dot Diva's geek bro Jedd has also managed to interview Stefan Cembolista. 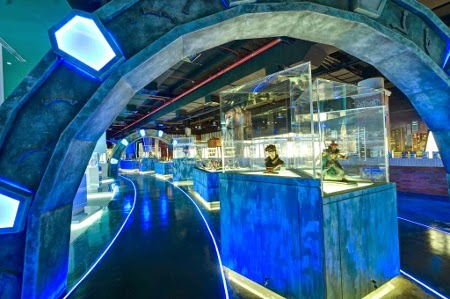 Vivocity's ground level atrium has gone "rogue"! The mall is currently hosting a "Rogue One: A Star Wars Story" display and activity area, featuring a 8-metre tall AT-ACT and life-sized Death Troopers. Lady Raine and kampongchicken, both Red Dot Diva's friends who happen to own rather peculiar handles, were on site at the launch yesterday (29 November 2016) evening. The opening ceremony was also graced by the presence of the folks from 501st Legion SG, Cathar Rebel Base and FightSaber! Here is a quick photo preview of what you can expect when you visit Vivocity from now till 18 December. The towering AT-ACT is gigantic!! Imperial forces gathered around the AT-ACT, awaiting deployment. Get Your Blasters (and Credits) Ready for the Advance Sales of "Rogue One: A Star Wars Story"! Local fans of the Star Wars franchise, information on the advance ticket sales for "Rogue One: A Star Wars Story" has just been announced! 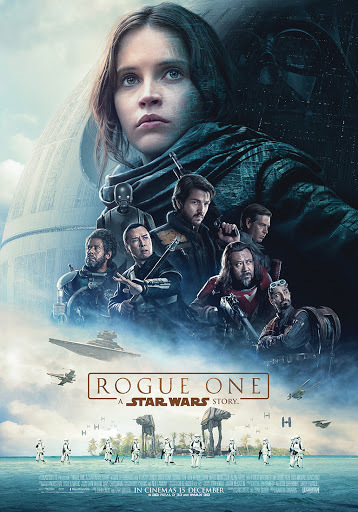 As Citibank is a major corporate sponsor for "Rogue One", their card holders will have the exclusive chance to buy IMAX 3D tickets on 28 November 2016, 10.00AM for the earliest slot on 14 December 2016, 7.00PM only. 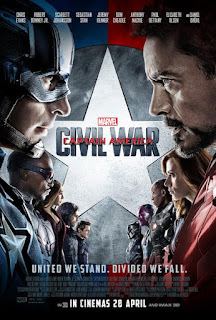 For those who want to avoid spoilers and watch the movie as soon as it premieres, it is time to plan and camp out! 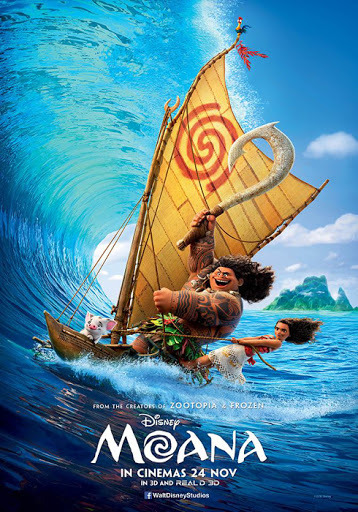 Voice Actor Auli'i Cravalho, Producer and Animators from Disney's Moana Surfing into Singapore, 9 November! Actor Auli'i Cravalho, who voices Disney's newest princess Moana from the upcoming CG-animated movie of the same name, will sail into Red Dot Island for a press junket and meet and greet at a special event held on 9 November at Marina Bay Sands. 15-year-old Auli'i Cravalo, a Native Hawaiian, was selected to be Moana from hundreds of talent from the Pacific Islands who had auditioned for the role. Locally, there are still many who are not familiar with Singapore-based artist Andie Tong, but Red Dot Diva is pretty sure this is going to change very soon due to the success of his work with Disney's illustrated book series "The Zodiac Legacy", created by the legendary Stan Lee, and co-written by Stuart Moore. It is also Stan Lee's first illustrated book series. "The Zodiac Legacy" is about the power of the 12 signs of the Chinese zodiac that have been unleashed all around the world. Chinese-American teenager Steven Lee absorbs the power of the Tiger and gets caught up with the whirlwind of events battling with the Vanguard - a group of mercenaries - who are trying to collect the powers from other hosts and use them for their own selfish means. The action-packed first book "Convergence" was launched in early 2015. The follow-up book entitled "The Dragon's Return" was released last month, and was listed as a NYT best-seller for Children's Middle-Grade Hardcover! Andie has worked in Australia and the UK, and is well-known with regular comic conventions goers around the world. He is definitely a familiar face to those who attend STGCC, and Red Dot Diva notices that his booth is usually swamped with fans. It's "Poe to the Rescue" in LEGO "Star Wars: The Resistance Rises" Animated Series! Coming up in this post are minutes of mini bricked cuteness! And Red Dot Diva is pretty sure you won't be able to resist it. Fans in the USA were lucky enough to catch LEGO "Star Wars: The Resistance Rises" which premiered on February 15th. But now, everyone else is able to enjoy this 6:46 minutes of awesome Poe-ness. Click the link below to watch "Poe to the Rescue"! 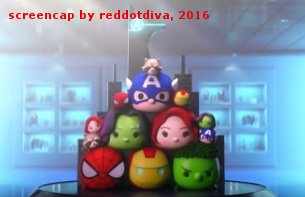 Have You Seen the Gameplay Teaser of upcoming Marvel Tsum Tsum Game from Disney Japan? What villainous sorcery is this?!!! The latest incarnation of Disney's Tsum Tsum mobile game includes beloved characters from Marvel's universe, like Spider-man, Agent Carter, Iron-Man, The Hulk, Loki, and OMG!! They all look as cute and cuddly as one can possibly imagine. For those who are wondering what the heck Tsum Tsums are, they are small bolster-shaped plushies that are meant to be stack on top of one another like a pyramid. 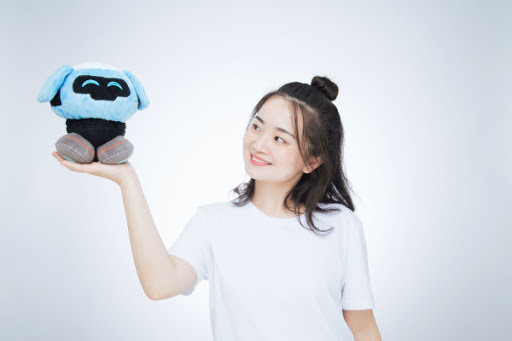 Tsum Tsums have captured the hearts of many Disney collectible and toy fans ever since the line was introduced in Japan. The mobile game was announced last year in Nov 2015. It is a joint effort between Walt Disney Company Japan, NHN PlayArt and digital media company Mixi, who is best known for its hit game Monster Strike. The official game website with a few screenshots as well as a sample gameplay of the new game has just been released! One can also register on the website to get early information and access to the game when it is released some time in Spring 2016. 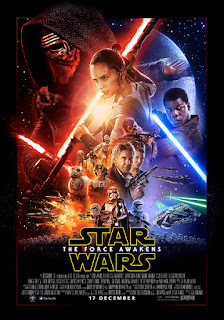 The "Star Wars: The Force Awakens" Trailer Is Here! There was much stirring of the Force yesterday as Disney and Lucasfilm finally released the long awaited official movie trailer for "Star Wars: The Force Awakens". And boy, did the sneak peek give Red Dot Diva even more feels! There were some teeny hints about Rey, Finn and Kylo Ren the Darth Vader fanboy, but other than that, the trailer still played coy about the actual premise of the upcoming movie. 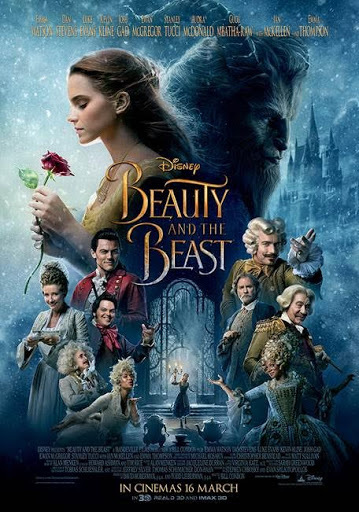 Nothing too obvious was revealed on how the new characters are related to each other and to those from the older movies. Which is probably a good thing, because Red Dot Diva may decide to swear off seeing any more trailers/ teasers/ sneak peeks after this, so that she can be truly "wow"-ed when she's watching the movie for the first time. Star Wars Characters and More Arrive in Disney Infinity 3.0 Edition! Love playing video games? Better still, love playing games *and* consider yourself a total Star Wars fan? Then... *cue John Williams theme song*... the Disney Infinity 3.0 Edition is guaranteed to bring more fun into family or personal gaming time! Red Dot Diva attended the launch for the popular toy-game hybrid at the Sandcrawler earlier this week. She has to confess that she is not a gamer (personal decision: she gets too easily addicted! ), but she still finds the gaming world an extremely creative and imaginative domain. STGCC 2015 finally announces their first round of guest announcement, and they certainly did not skimp on the surprise factor. This year, internationally reknown and Eisner award-winning comic cover artist Adam Hughes will make his way to the convention! Red Dot Diva could almost hear the local geekdom squee with delight upon knowing that Adam Hughes will be here. She was aware that the fans have been hoping and requesting for Adam to attend STGCC for many years. 2015 is the year that this wish is set to come true. 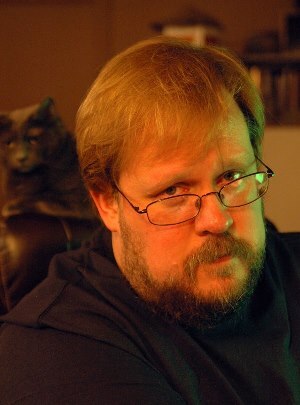 For those who are not familiar with Adam Hughes he is well-known for drawing women figures beautifully in a pin-up art style, and has worked for the biggies like DC and Marvel, as well as Dark Horse, Archie and Lucasfilm. His variant art covers are highly sought after. A few years ago, he returned to sequential art and was the artist for mini-series "Before Watchmen: Dr Manhattan", written by J. Michael Straczynski. Local Star Wars Fans Swarm Suntec to Celebrate The Force! 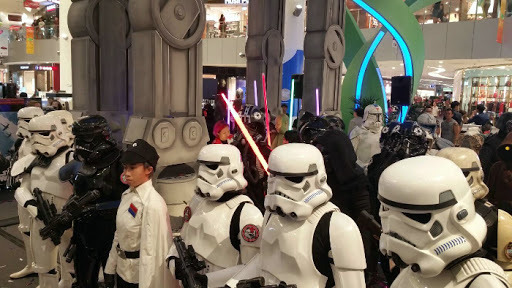 Last weekend, Star Wars fans living in Red Dot Island celebrated May the 4th early at Suntec. 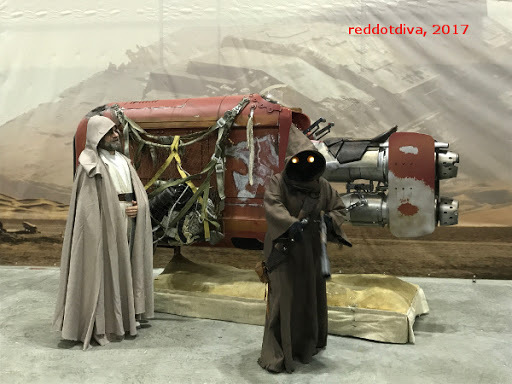 The two-day event called "Celebrate The Force" was chock(hold)-ful of intergalactic activities like lightsaber fight performances, toy photographer workshops and various displays of art, toy collections and merchandise. Red Dot Diva popped by the Suntec Atrium right after completing her FCBD run at GnB Comics on 2nd May. Judging by the constant flow of people at the venue, there are more Star Wars fans here on the island than one would expect. Pop-culture lovers, toy collectors, and several families with younglings milled around the area taking in the festivities. 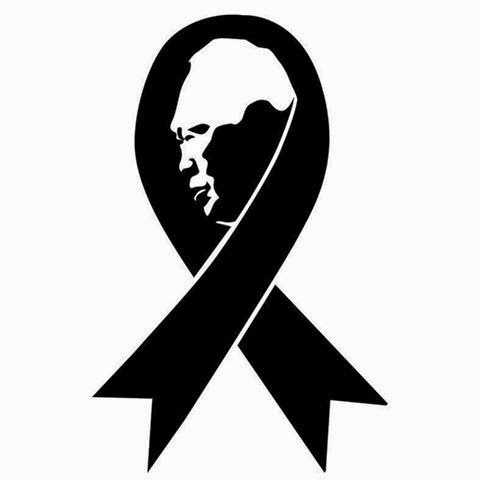 Mr Lee Kuan Yew, Red Dot Island's first prime minister and architect of her astounding progress into modernity and first world status, passed away peacefully at 91 in the early morning of 23 March. Alas, since this is not a blog on politics, nor is Red Dot Diva able to write wonderful heartfelt posts like ex-Straits Time editor Bertha Henson, she will refrain from making a case as to whether Mr LKY was a man to be admired or despised. To her, there is a need for profound respect during times like these. Red Dot Diva is after all but a humble minion, her meagre life's achievements (were there even any?) hardly accounting to anything much, and a physical embodiment of the sometimes unpopular policies arising from LKY's legacy. 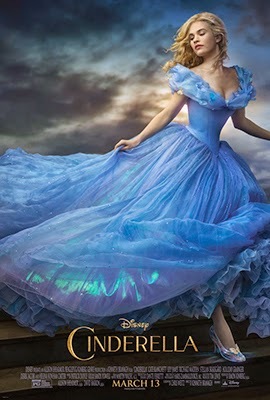 The SMRT Circle Line Gets A Disney Makeover! 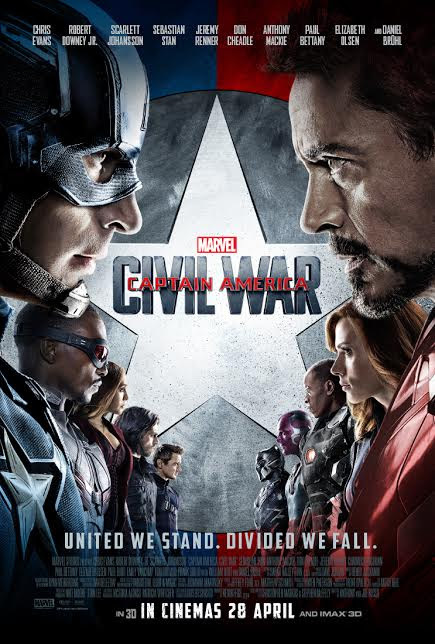 Three of Disney's and Marvel's most popular movies have now arrived at the SMRT Circle Line! If you are one of those who commute on the Circle Line often, you would already have gotten "Frozen" or went into Hydra mode at seeing Captain America's shield. Or maybe even have the urge to go Pew Pew Pew when sitting in the "Star Wars"-themed carriage. The train car makeovers are a result of an 18-month collaboration between Disney and SMRT. Besides having carriages decorated with characters and iconic symbols from "Frozen", "The Avengers" and "Star Wars", the promotion also extends to SMRT's other retail and digital networks of Disney's brand and franchises, including activities held at the Kallang Wave Mall.